Gordon's Glass, Ltd., proudly presents its line of luxurious Crystalline Frameless Glass Shower Enclosures. Design a shower that fits your unique style. Satisfy your desire for distinctive privacy. All glass is available in a variety of colors, textures, and design etchings. Fine hardware to complement your decor is also available. 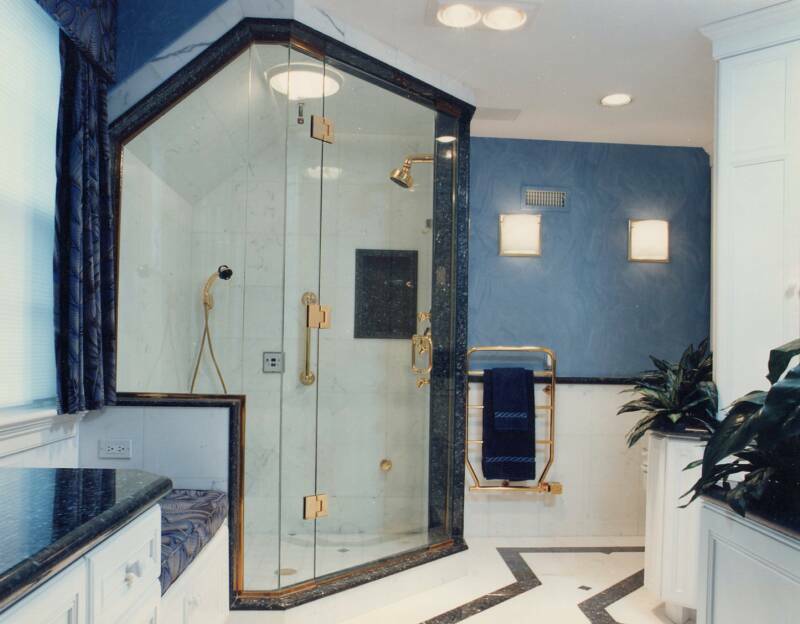 Our goal is to assist you in designing frameless glass shower enclosures that will add a touch of elegance to your clients' bathrooms. A frameless glass shower enclosure creates an open spacious effect in any bathroom. So, whether your clients are building a new home or remodeling, we can provide you with a frameless glass shower enclosure that will enhance the value of their home.